Complete list of Clothing and Accessories Shops in Pakistan. You can find the updated list of Clothing and Accessories Shops in Karachi, Lahore, Islamabad, Rawalpindi, Multan, Peshawar, Quetta, Faisalabad and other regions of Pakistan with their address, maps, locations, vendors and consumer reviews. You can also compare the Clothing and Accessories Shops here and find the best Clothing and Accessories Shops here. You can also find the jobs related to Clothing and Accessories Shops here. Yayvo online shopping site offering some amazing international deals on their products, they have been considered as a best shopping site in Pakistan right now. 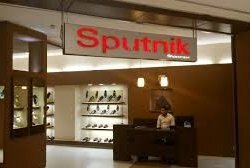 Sputnik Footwear is located in Karachi, Pakistan. Company is working in Industrial services, Clothing and Accessories, Shoes business activities in reasonable prices.